Authorities turned Sydney’s shopping district into a fortress as tens of thousands of shoppers swarmed the city hunting for Boxing Day bargains. 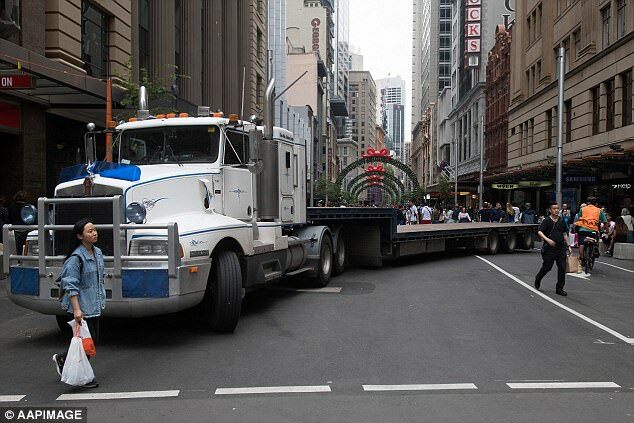 Huge trucks and imposing concrete bollards blocked off usually busy roads near the city’s bustling Pitt Street and Queen Victoria Building (QVB) precinct. As uniformed police patrolled the streets, Daily Mail Australia spotted semi-trailers parked across roads near George Street and Market Street.